The Canoil Expedition would be a tough expedition in any era, covering almost 600 miles through the rugged Mackenzie mountain ranges in polar conditions. Back in 1943, Alex’s team endured 42 days with 12 days at minus 40 below. The team broke trail with snowshoes to flatten the deep snow making transit possible for the following dog teams and supplies. Using traditional skills, they hunted for meat and ate a high protein diet. 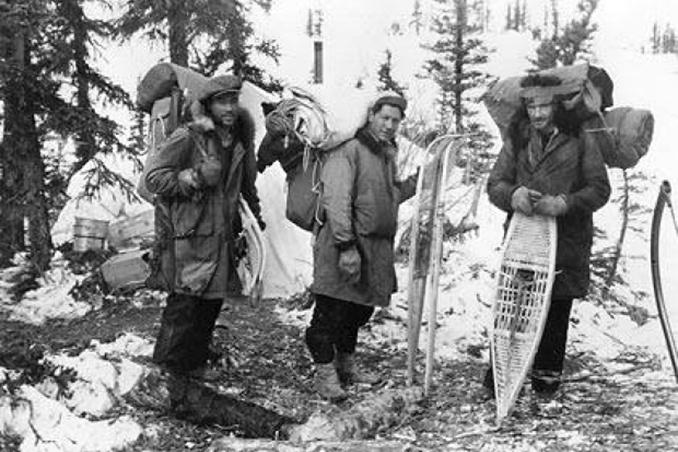 Picture the rudimentary maps and lack of communications as the team battled the bitter Yukon winter, but as First Nation trackers and hunters they were used to living and surviving in such conditions. Local helicopter pilot Norman Wells believes the route has not been completed since Alex’s expedition in 1943. 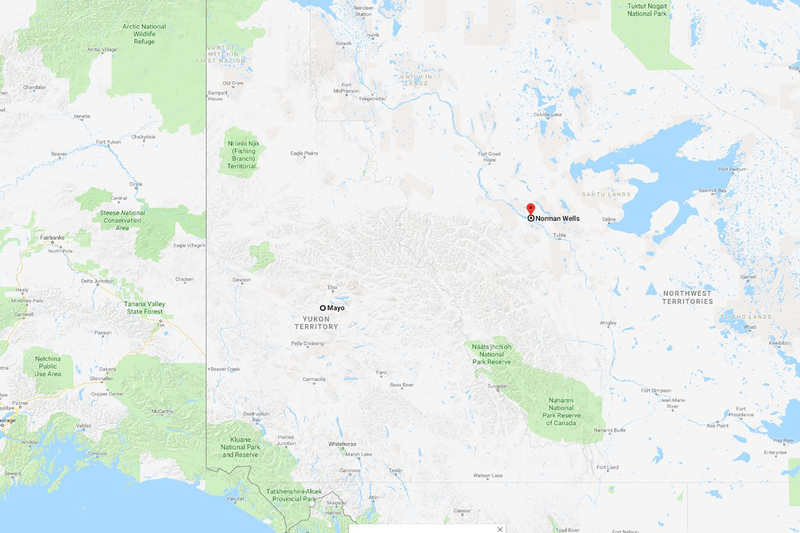 The Yukon is one of the last wilderness areas of the world with a population of only 36,000 living in an area almost 4 times the size of the UK. 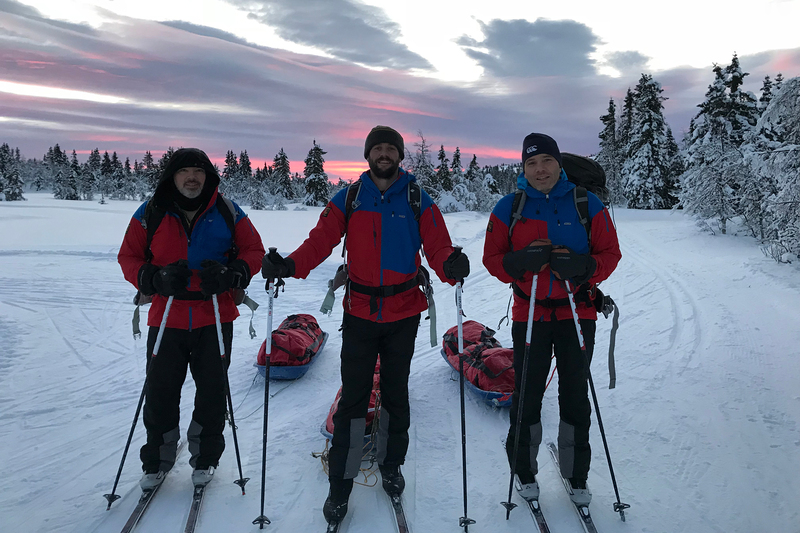 In February 2018, three years after interviewing Alex, the Ski to the Edge Team – me, Richard Harpham, my brother Matthew, a mountain man and ex Royal Marine Simon Reed – are setting off to follow in Alex’s footsteps. 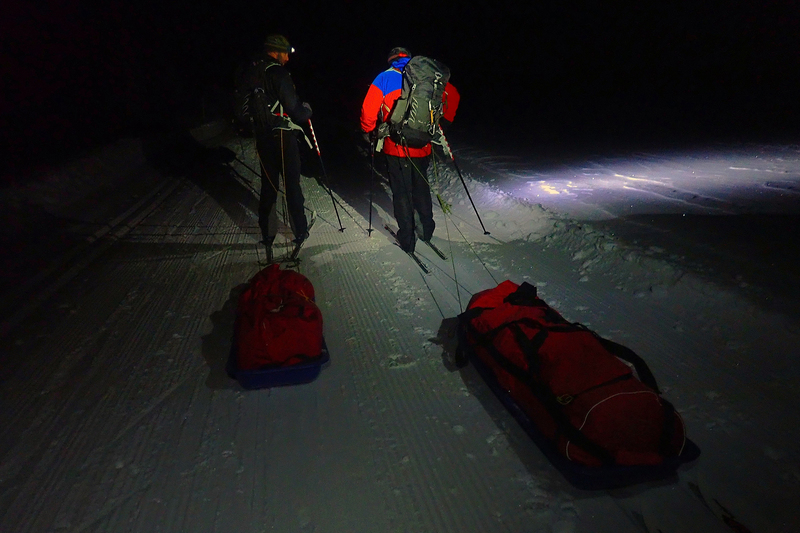 We plan to ski 600 miles unsupported from Mayo in the Yukon Territories to Norman Wells in the North West Territories, navigating our way up frozen rivers in an area that has been colder than both poles for the last two years. 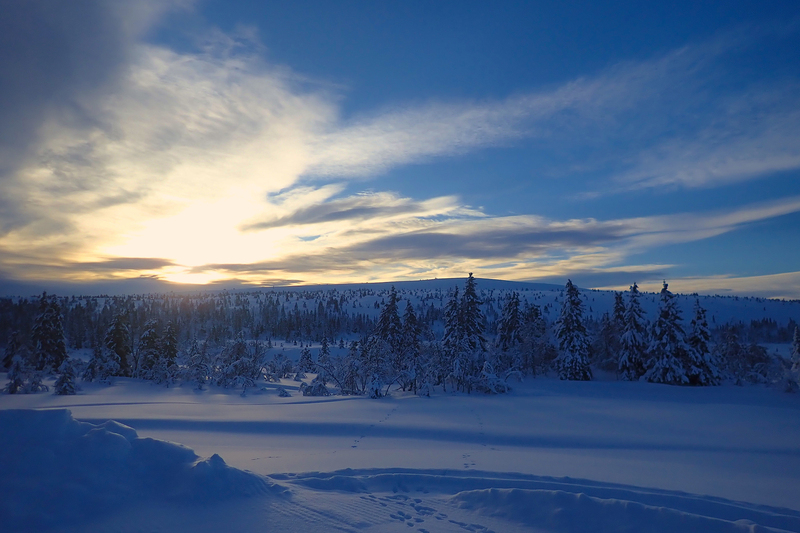 We’ll be living and travelling in temperatures as low as minus 20 to minus 50 – the temperature in Whitehorse on the day we left the UK was a cool -29 below – and have spent 3 years training, preparing and equipping for the expedition, most recently this winter in Norway. We anticipate burning an average 6,000 calories per day. Our clothing includes the Páramo Enduro Tour trousers and Enduro Jackets – perfect for regulating our body temperatures while moving – and Páramo’s Torres Alturo Jackets for extra warmth when needed, especially for chores around camp. We’re thrilled to be using Páramo clothing for our 600 mile ski expedition. Knowing its breathability and hard-wearing credentials, we believe it’s the best option to stay warm and safe. Beyond that, we love the ethical and Fair Trade pedigree of the brand and will wear it with pride knowing it represents our values of adventure and sustainability. 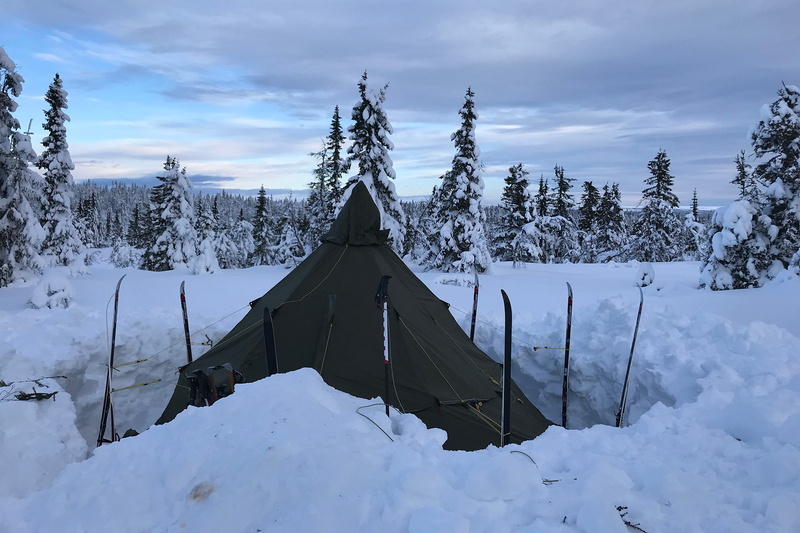 The Ski to the Edge team are raising money for the Alex Van Bibber Memorial Fund (funding programmes for young Yukoners) and supporting disadvantaged young people’s participation in the Duke of Edinburgh Scheme. 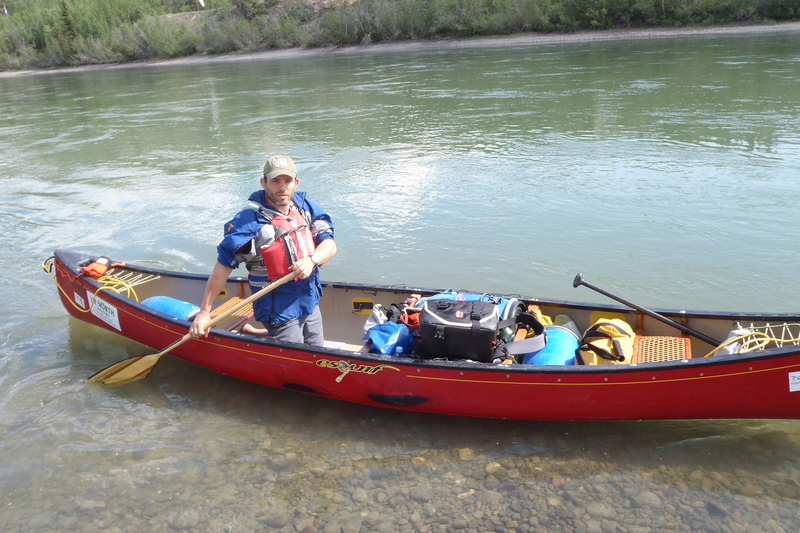 I’m a human-powered adventurer with over 9,500 miles of expeditions by canoe, kayak, bike and on foot to my name, documented on www.richadventure.com. For almost a decade I’ve worn Páramo clothing on remote adventures including cycling and kayaking 2400 miles from London to Marrakech, canoeing 700 miles of the Yukon River from Whitehorse to Circle in Alaska and even cycling the Sahara by Fat Bike (510 miles). My adventures have featured in media from Huffington Post to National Geographic Kids Magazine, from Paddler to the Outdoor Adventure Guide. More recently I became the editor of Bushcraft and Survival Magazine and part of this fantastic community of outdoors men and women. Many of my adventures see me battle both fatigue and the elements, so to enjoy these physical challenges confidence in my clothing and equipment is essential. Over the years my Páramo clothing has seen plenty of scrapes in hot and cold climates. 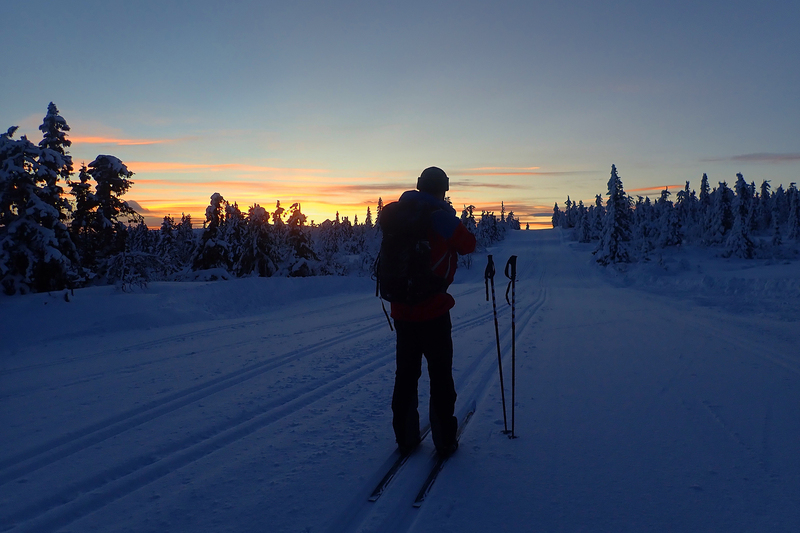 Once, ski touring in Norway I had the misfortune to fall through the ice. Unable to kick off my Nordic skis I scrambled out before slipping back in for a second time. The air was blue, as were parts of my body, as I vented my anger. I was seriously worried knowing it was at least a couple of hours to the nearest hut. My brain kicked into gear, I started skiing and set a rhythm. Despite being well below freezing, I quickly started to warm and, better still, my Páramo trousers and smock followed suit, drying in the stiff breeze. Before long, I was wearing a smile ear to ear knowing that my team mate Páramo had averted hypothermia. Much of my time and my wife’s is spent in the great outdoors as professional instructors with our company www.canoetrail.co.uk, wearing Páramo kit day in day out, for activities from canoeing, kayaking through to bushcraft, wild camping and hiking. We work with the D of E as an approved activity provider. I still have all my original Páramo clothing and, with the exception of my lightweight trousers, which wore through on the bum after cycling a few thousand miles, it’s all going strong. Literally thousands of miles with sporadic washes and re-proofing. As we take on this Ski to the Edge adventure and I approach 10,000 miles of trails, paddling and outdoor journeys using my arms, legs and willpower, I am very proud to be part of the Páramo family – and I look forward to the next 10,000 miles!